The Kia Optima is a midsize sedan that had been marketed by Kia Motors since the beginning of the 21st century. This model is equipped with numerous tech and safety features and user-friendly infotainment system. The Optima has a very spacious interior and ensures a pretty good gas mileage. 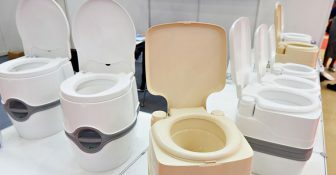 However, the performance is often described as nothing special. In any case, well-fitted tires can enhance every automobile regardless of its model or class. At the same time, it is vital to be prepared to handle unexpected road situations. A spare tire is an extra tire carried in a car for contingency reasons such as the case of a flat tire or a blowout. Since virtually all cars carry an entire wheel with a tire mounted on it as a spare instead of just a tire, the word spare tire is a misnomer. Cars may either have tires with a run flat capability, full spare tires or limited use minispares. The Kia Optima spare tire kit is an accessory pack that comprises of a Spare Tire, a Steel Wheel, a Jack, a Lug Wrench, a Bar Tool, a Tire Pressure Label, and a Hard Foam Tool Organizer. Since the 2013 Kia Optima spare tire kit is designed specifically for vehicles with 16″ & 17″ wheels, they are not a good fit for 18″ wheels. If your car has 18″ wheels, then you would have to look out for Kia Optima 18 spare tire kit. The 2013 Kia Optima spare tire kit fits 2011 – 2015 Kia Optima (vehicles with 16″ & 17″ wheels). 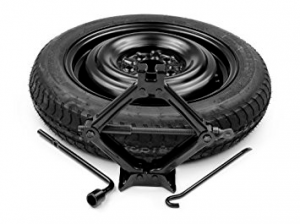 Installing a spare tire is a relatively easy procedure if you have the right tools. 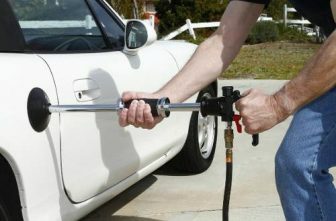 Items you would need include a jack, a lug wrench, a fully inflated spare tire, as well as a Vehicle owner’s manual. Here is a step by step guide to completing the task. Find a secure location: in the case of a flat tire or bow out, do not hastily brake or turn. Gradually reduce your speed and examine your surroundings. A level ground is a good idea as it prevents your vehicle from rolling. Turn on the hazard lights as soon as you realize that you need to pull over. Engage the parking brake: after you’ve pulled over, use the parking brake to reduce the chances of your car rolling. 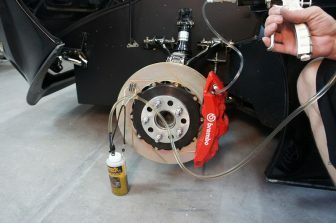 Apply wheel wedges: wheel wedges will help ensure that your car doesn’t roll while you change the flat tire. Large stones can provide a substitute for wheel wedges if they are large enough to stop your car from rolling. 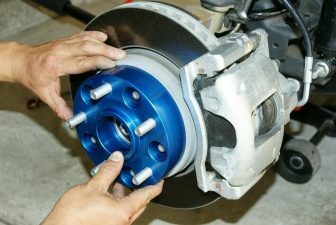 Take off the hubcap or wheel cover: If your auto has a hubcap concealing the lug nuts, it would be easier to take off the hubcap before lifting a car with the jack. However, if your lug nuts are not covered, then proceed to the next step. Apply the flat end of your lug wrench to take off the hubcap. Albeit, some hubcaps would need a different tool to be disengaged. Loosen lug nuts: with a lug wrench, turn the lug nuts counterclockwise until you loosen their hold. This would require a good amount of grit. Do not completely take off the lug nuts at this point in time, only loosen them. Position the jack under your car. 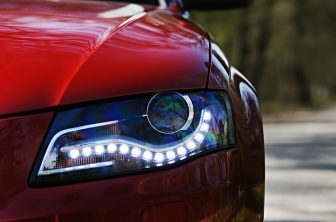 To do this properly as well as avoid damaging your car, refer to the owner’s manual. Raise your auto with the jack: place a small cut if wood underneath the jack before trying to raise your car. 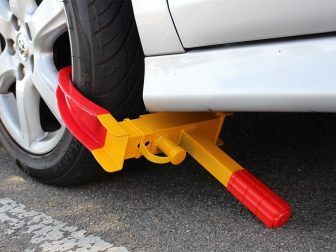 This will keep the jack from settling under the weight of your car. 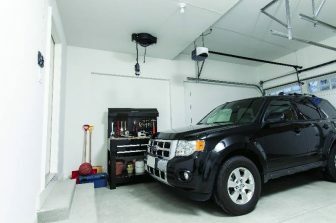 After the Jack is properly positioned, raise your vehicle to a level where the flat tire is six inches above ground level. Unscrew lug nuts: now, remove the lug nuts completely. You should be able to unscrew them with your hand since you have already loosed them. Take off the flat tire. Mount the spare tire on the lug bolts: set the spare on the hub by aligning the rim with the lug bolts. Push it gradually till the lug bolts show through the rim. 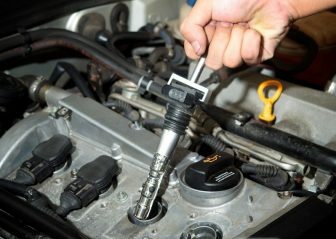 Tighten the lug nuts by hand: return the lug nuts to the lug bolts and tighten them with your hands. Once you put the lug nuts on the lug bolts, return to each to ensure they are well tightened. Lower your car and retighten the lug nuts: using the jack, lower your auto so that the spare tire rests on the ground but the full weight of your auto doesn’t rest on the tire. Using the wrench, tighten the lug nuts by turning clockwise. Lower your car completely and take off the Jack. You might want to use the wrench to give the lug nuts a final pull to ensure they are well in position. Change the hubcap: if the hubcap from the flat tire will fit the spare tire, then place it in the exact way you had removed it. Stow the flat tire and other equipment in the trunk. Check the pressure on the spare tire before driving off: ensure the pressure in the spare tire is safe to drive on. If the tire requires pressure, then drive at a low speed till you get to the nearest service station. Don’t forget to take your flat tire for repair! Buy the best spare tire kit for your Kia Optima and get a wide spectrum of benefits at an optimal price.